トップページ > お知らせ > コスモスカフェがオープンしました。Cosmos cafe has opened. 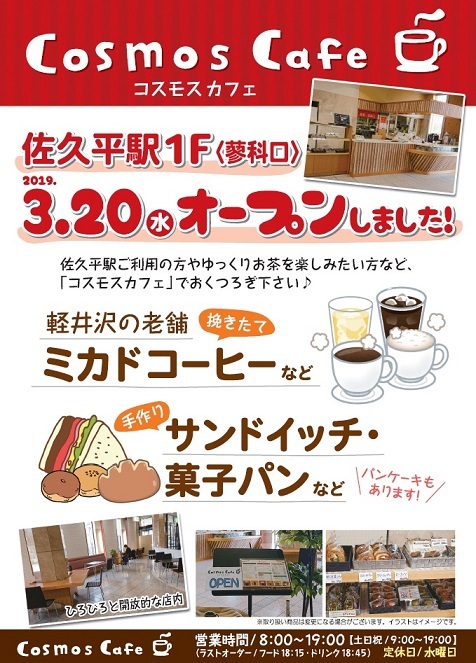 Cosmos Cafe has opened on the ground floor in Sakudaira station. Enjoy a light meal with coffee, tea and cold drinks. Copyright(C) 2016 佐久市振興公社 All Right Reserved.